This morning whilst walking the dogs it looked and felt like a Spring morning. The Sun was out in full force and the daffodils where in bloom. Typical British weather the day because at midday it started to snow. 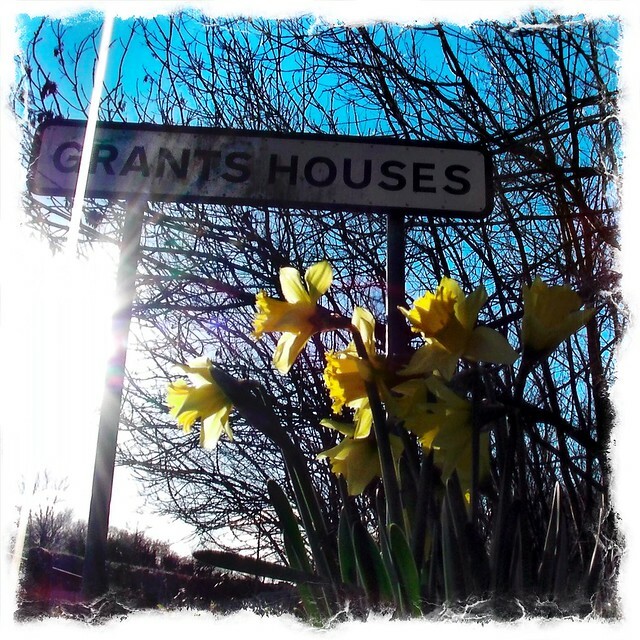 This entry was posted in #DailyPhoto and tagged #DailyPhoto, daffodils, Grants Houses on February 14, 2016 by Richard.